A host has several parameter sections. 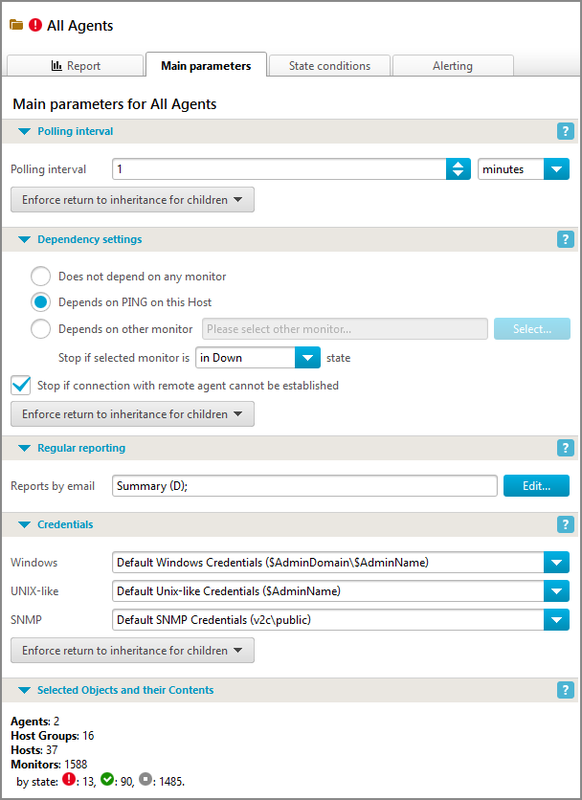 Some host parameters provide the default values for their child monitor and application parameters. You can assign custom icon for the host using the dropdown control next to Icon. 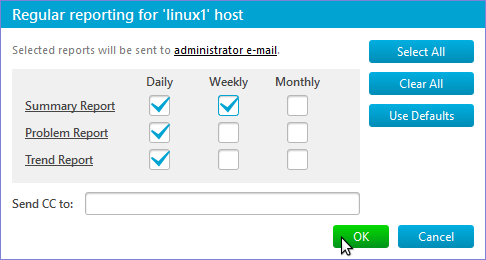 By default, a host uses an icon defined for its host group. It is possible to upload and use your own icon(s). The Host Definition section contains parameters used to identify a host within the monitoring system by providing its DNS hostname and/or IP address and to specify whether the DNS name or the IP address should be used to poll the host’s resources. Both parameters can be changed. In addition, this section contains the Admin web interface – a URL that is used to address the host via the Admin Tools > Device web interface drop-down menu. This parameter can be changed, too. 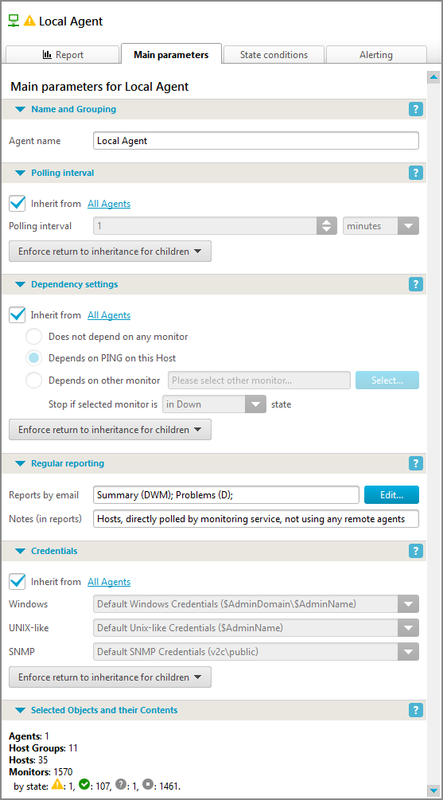 The Dependency settings section defines the default Dependency settings section for all the host’s (or any other entity’s) child monitors. The state of a current monitor depends on the state of the monitor specified in this section: if the specified monitor changes its state say to Down (as in the example below), then the current monitor immediately changes its state to Stopped by dependency. For example, you can configure some monitor to enter Warning state when important operation such as regular backup starts, and define other “guard” monitor that depends on the first one and stops as soon as that monitor is not in Warning state. 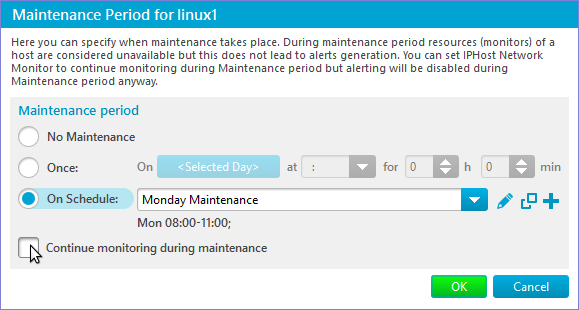 This way, “guard” monitor will only be active when backup operation is ongoing. Monitors on remote agents also may depend on remote agent connection state. 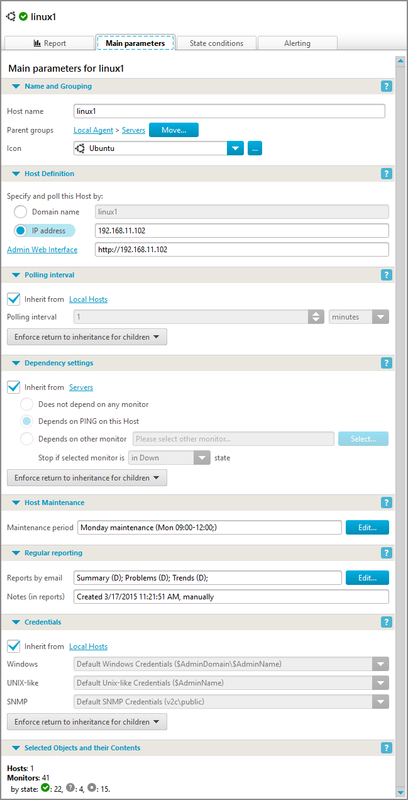 By default, a host section is inherited from its parent host group, and hence, can not be edited directly. You need to either edit the parent parameter, or make this parameter host-specific by unchecking the Inherit from checkbox, and editing it directly. 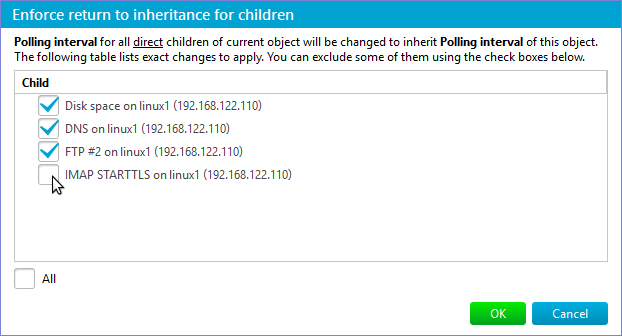 Also, you can set the host’s children to inherit this section immediately by clicking the Enforce return to inheritance for children button. The Credentials section contains drop-down menus to select user credentials the monitoring system uses to access resources on this host. Each kind of credentials (Windows-like: Domain/User/Password, UNIX-like: User/Password and, SNMP: Version/Community) can be selected independently. By default, a host inherits the credentials parameters from its parent host group. 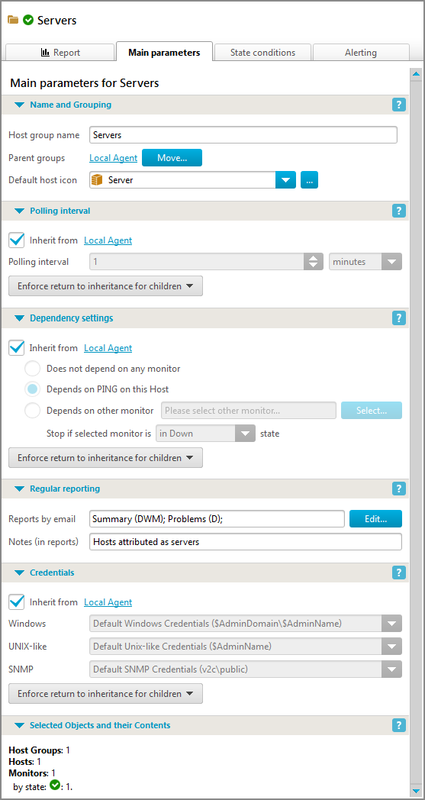 You can set the host’s children to inherit this section immediately by clicking the Enforce return to inheritance for children button. The Selected Objects and their Contents section contains a set of objects currently selected in the Tree View pane. Only visible objects are counted in the selection. If a group object (an application, host, host group or monitor category) is selected, then all its visible children such as hosts, monitor types, and monitors are also considered to be selected. The section allows you to view a brief summary status of the selected objects. The Name and Grouping section contains a changeable application name and a clickable link to its parent host, host group and agent. The Application Template Monitors section contains a list of all the monitors included in the application. The table shows if a monitor is enabled or disabled and if the monitor is a part of the template or added to the application by the user. You can enable or disable the application monitors by checking/unchecking them in this table. A disabled monitor becomes hidden (not deleted), all its data is saved, and it can be enabled at any time. The Name and Grouping section contains a changeable group name and a chain of clickable links to its parent nodes (Agent and Host Groups). 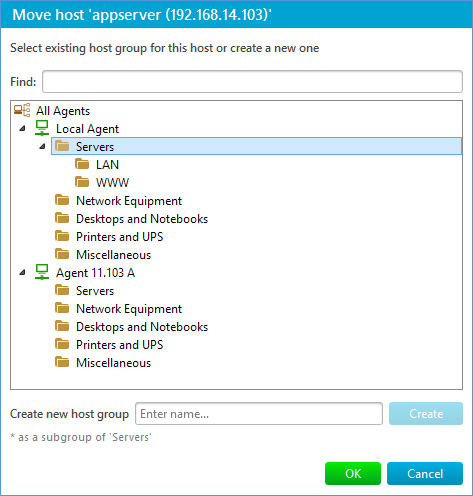 You can move the host group to another location using the Move… button. You can also select an icon that will be applied by default to all hosts and nested host groups within the group. By default, nested host groups use parent group icon and top-level groups use some specific icon. Note: you can browse for a custom icon which will be scaled and copied to a standard directory, $IphostDataDir/icons. Most of the monitor type parameters provide the default values for corresponding monitor parameters. 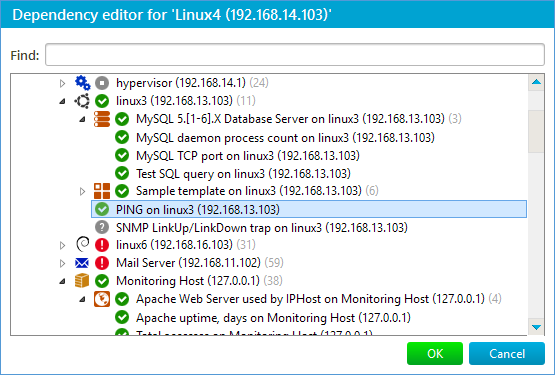 The network discovery process uses these default parameters when it creates new monitors during discovery. 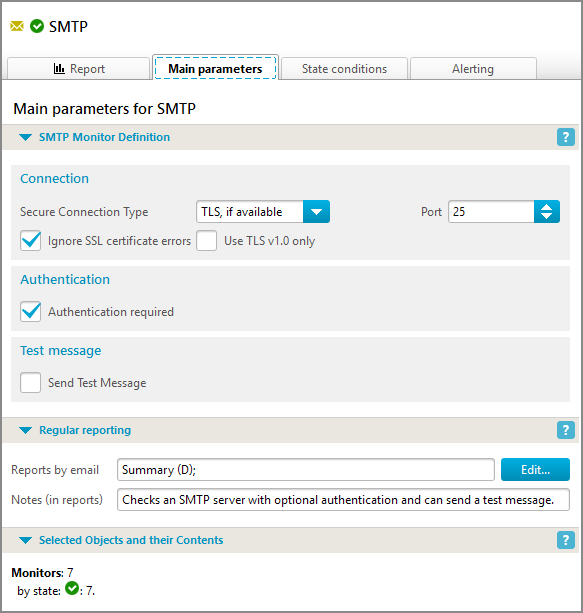 You can adjust them before starting discovery (for example, set specific credentials for your mail servers). The default parameters are also used when monitors are created manually.